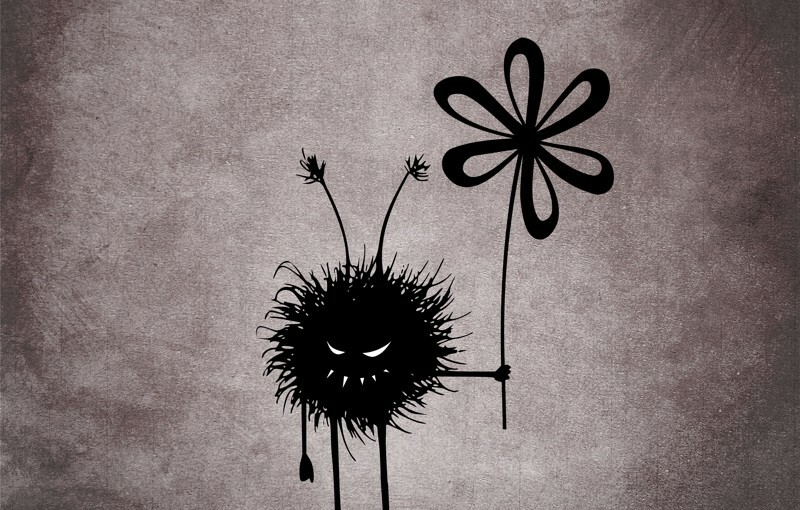 The Evil Flower Bug is a grinning cartoon evil character with sharp teeth holding a flower. It’s evil and kind of cute. It loves flowers… loves eating them, in fact. 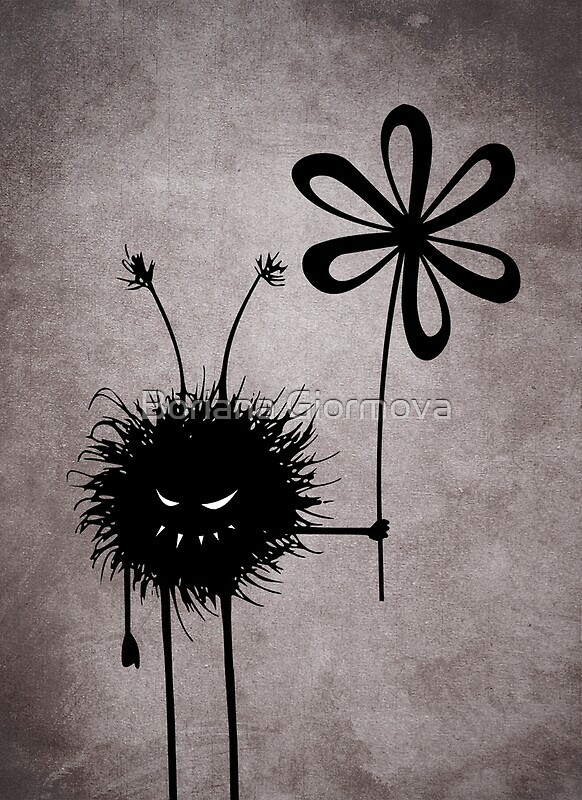 The bug is frequently found doing evil deeds, eating flowers and just having fun. This evil creature illustration has two variations. One features a dark textured grunge background and the other is in a vibrant red color. It reminds of gothic style and has a pinch of humor, too. This creatures is also perceived as cute by most of the people I know.